never not dreaming: Inspiration. 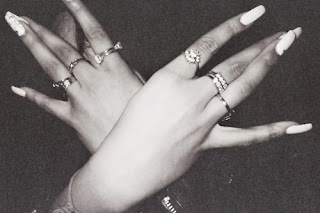 White nails. Ok, guilty as charged. 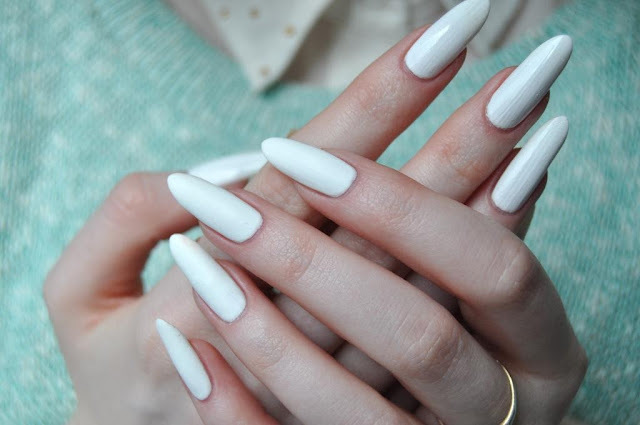 I've committed the crime of falling in love with white nails. The longer, the better. After cutting my nails short for the last 3 years I've completely forgotten what sound longer nails make when typing on the laptop or phone. I kind of like that sound! Anyway, as soon as I saw the photo above I couldn't get it out of my mind. Came Monday morning, I stormed out to the shopping centre in search for the perfect white nail varnish. Designer brands turned out to be useless so I've invested a few pounds into a L'oreal one. Brilliant! It also comes in a small bottle, which is actually great. There's a chance it won't go all thick and gooey before I stop loving it! 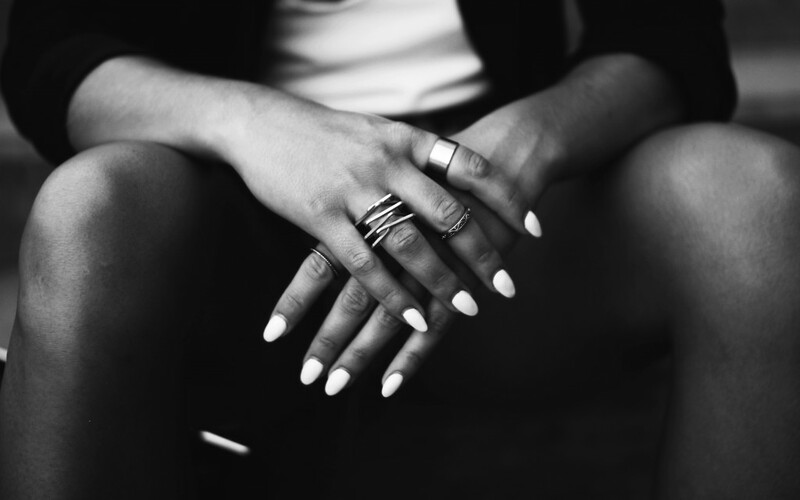 What is your favourite nail varnish right now?